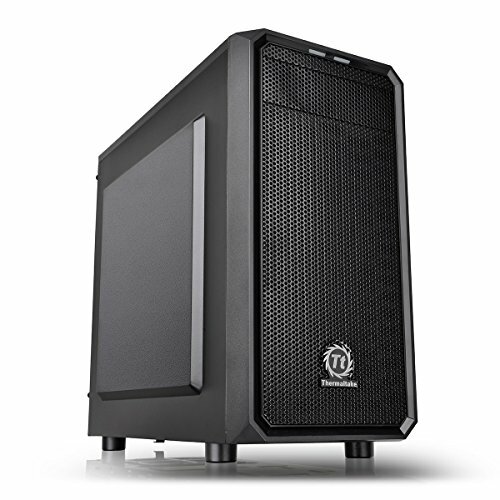 The Thermaltake Versa H15 is a smaller mid tower case that is compatible with all of our components. It has several cable management holes, and the side panel the mounts behind the motherboard is bumped out to make cable management easier back there. You'll find 2 USB ports on the front panel of the case - 1 USB 3.0 and 1 USB 2.0. The case also features 3 drive bays that case be used with either 3.5" mechanical or 2.5" solid state drives, and if you're looking to use an optical drive, the Versa H15 does include an externally accessible 5.25" bay. Does anyone know if this could run overwatch on at least high setting? Yes it can at a great FPS. You will be able to play at max settings at over 60FPS. Switching over from PS4 to pc wanting to play games like men of war assault squad 2 and arma 3 would this be a good build for such games? Anything helps. I'm pretty sure it can run ultra. The gpu is good enough. Ho tradotto questa guida in italiano, se a qualcuno serve essa si trova nel mio account nella sezione Build Guides. Hi there. New to the forum. Looking to get into pc gaming. Will this be capable of running Player Unknown: Battlegrounds? If so, would it run well, or just barely? Same for The Division, and Civ 6. Thanks! Honestly, if you want something a little more reliable (but may cost a few more bones), I would strongly recommend switching to an i5 CPU. This way the longevity of your build would last a year or two before you would need to upgrade. This would also give you a good boost to your frame rate compared to the Pentium. Honestly would be worth it, but that's just my humble opinion. Why get an i5? It's been proven before that Ryzen easily defeats the i5 in every situation. if you can get a 7600K for 200 dollars, it's way better than what you can get on Ryzens side for 200 dollars..
No, it just isn't. Intel had an incredibly large market share, and they took full advantage when they had it. i5's are not the better chip. I do not want to have a discussion about this again. If you weren't so close-minded, you could get a better processor. I seriously do not want to argue about this. No. Just stop. There is plenty evidence everywhere, you can't just cherrypick what you like to hear. I am not very knowledgeable about these things, but the above setup chooses DDR-2800. Issues? No, you just won't be able to run the memory above DDR4-2400. The motherboards automatically downclocks the ram to the motherboard's highest supported frequency, which 2400MHz in that case. What kind of streaming? Like streaming to Twitch? You should be able to stream but that depends more on your internet speed. If you're talking about watching steams you'll have no issues. what if i am the streamer. would it work? In my bit of experience with streaming the actual streaming is not very intense for the streamers PC. It's very intense on your upload for your internet. You should do a speed test. I think to get good quality streaming you need at least 5mbps for what would be "HQ" and probably 8-10 for good 720-1080p streaming. This is streaming at 20-30fps by the way. When streamers have full 60fps 1080p they must live in area with 100-1000mbps options. Of course it's hard to know until you test. Best way to find out is to mess with it and have a friend help you know what quality and settings with best. You will have 0 problems streaming as long as your internet is fast enough. I have a GTX 1050 and theG4560 and I stream H1z1, CSGO, and a few other games with no issues at all. Completely false. Your game may run fine but the stream will be about 3FPS with 90% dropped frames. Just FYI on that Zotac SSD the parametric will likely choose. I tried ordering one a couple months ago. Waited a full month and got no progress on the order(basically they will sleep the 1-2 months promise). Ordering that could put the build out 3 months even with prime. I don't know if it's Zotac or Amazon but just wanna let people know to bump up the $1-10 or so for the (lower quality) SanDisk SSD. The Zotac had great specs and is the better kind of storage I believe, but you'll be waiting for a while for it. I should also note it's technically on sale so when that changes this comment shall be void anyways. What difference between zotac ssd and Samsung 250gb (I know 10gb difference) but is Samsung is faster or something? Not much. I believe they both have similar speed ratings, and specs for storage structure. Just the Zotac takes a while to ship. Hey, I'm new to building pcs but I want to build my own gaming pc and this seems really good. Does this pc run games like minecraft well I want it to run at at least 60fps average. If you're running Minecraft, you can take out the graphics card, and it will still run over 60 fps. Well I mean the same build, but without the graphics card. Of you're only playing Minecraft, this is way more than enough. This computer can run most Triple A games at 60 FPS so yeah. Minecraft would be no problem. A potato could run that game. Does it have windows or I have to buy one? That depends on if you have a Windows licence. You'll likely need to buy one. Although technically if you have Windows 7 you may be able to reuse it if you retire the old parts. I'd highly suggest just buying the windows 10 and not hassling with license transfer and activation issues. Do all intel cpu's come with a stock cooler. I'm looking at the i5 6500 and wondering if it comes with a cooler. No, not all. The i5-6500 and i5-6600 do come with one. The i5-6600K does not. Would this build work with a GTX 980 ti or a ASUS pheonix geforce GTX 1050? It will work with a GTX 980 TI unless its a super high end model that needs 3 PCI-E 8 pin connectors and it will work with all GTX 1050's although it will be a massive downgrade. I'm just trying to run Team fortress 2 and my friend said a GTX 980 will run it at 100 fps. Integrated graphics could run it at 100FPS which is insanely weaker. That is easily one of the, if the THE, easiest run to popular game out there. A RX 470 will decimate TF2 at any resolution and settings. the hell out of it? Pretty much.. the cpu will just limit how much the gpu can do. It is not a bad cpu either, but a 980 ti is still one of the most powerful cards available. That is not how bottlenecking works. 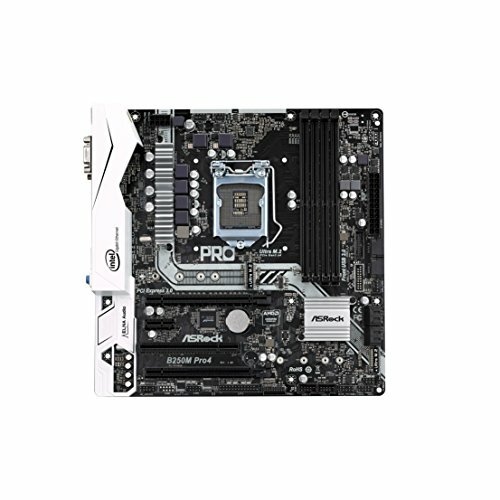 What will happen if the motherboard only supports ddr4 2133 an 2400 RAM but i out ddr4 2800 in it? If I understood your question, the ram will work, but it will just run slower, so buying faster ram like ddr4 2800 won't help. It'll just run at 2400. It will just downclock the RAM. Would this be powerful enough to run Team Fortress 2? Yes, TF2 is designed for weaker hardware in mind. You could play it on a potato if you wanted to or cheaper a craptop/netbook. I am new the PC building world, and I have no idea how to really know what I want. I want to be able to run FFXIV at a decent fps, so will this be enough? Easily. This will be able to max it out at 1080P at over 100FPS. FFXIV is not a demanding game. Entirely depends on the settings. You will sure be able to run it, how well depends on maybe if you upgrade the CPU and graphics card. The graphics card being the better more efficient upgrade. You could go with a cheaper PSU but it would be a worse unit which I wouldn't recommend doing. A SSD isn't necessary but its a very nice thing to have since it make boot and load times a lot faster and makes the OS/system feel more snappy. A different PSU wouldn't be the same thing. They would be totally different. There is a LOT more to PSU's than just brand (which largely means nothing) and wattage. For a vast idea of how much just take a quick look at the links below. Anything cheaper the CXM is going to the be likely significantly worse besides the S12II/M12II which is only slightly worse. There's much more to power supplies than 80+ certification(which tells you literally nothing but power efficiency). Cheap power supplies use cheap capacitors, thinner gauge wiring that is often badly designed, have poorer soldering jobs, less quality control, poor ripple suppression and voltage regulation, etc. Hell, some of them don't even technically meet ATX specification which is FAR more important than 80+. There are 80+ bronze PSU's that are higher quality than some 80+ gold. I won't even think about buying a power supply that Jonny Guru hasn't dissected and fully reviewed(which still gives me a few hundred to choose from). Can I continue with the stock fan for this CPU or do I need an aftermarket cooler? depends on how hard you... never mind the motherboard is trash, not very overclockable. You'll be fine with the stock. The stock cooler will do just fine. guys i have no idea what any of this **** is honestly i just want a gaming computer good enough to run h1z1 king of the kill at 60 fps (i heard thats decent but tell me if thats wrong) with a budget of $450. Is that possible? Is the Nvidia GTX 1050 ti better than the AMD Radeon RX 470 4GB Red Dragon Video Card? No, it is a LOT worse. Thanks. I'll switch to that in my build. Would you like to "rate" my build? Eh, it sits closer to the 1050 than the RX 470 in terms of performance, but in terms of price it's closer to the 470. If it wasn't $150 the 1050 Ti would be a good GPU, $125-130 is where it should be. Hi, I'm new to building PC's... I'm hoping this build will work for me because it is right in line with my budget. Does anybody know if this can run diablo 3 or Warcraft seamlessly or close to it? This will easily max those games out. This is capable really playing all games out there. Would I be able to play rust ? Im a real noob when it comes to this. how good will this pc run games like Arma 3 and battlefield? It should be able to run those games at 1080p low or medium settings. It will be able to max out BF1 at over 60FPS. For Arma I would say high settings, not max, at around 40FPS or so. Hey, isn't this the Boson 4.0 by Austin Evans? I know it is, only with a few parts added. You should give credit to the youtuber. I've never watched it, so I couldn't tell you. I can tell you nothing's been taken from anyone. It's a pretty straightforward build, so I wouldn't be surprised to find similarities with others' builds. Okay. You're fine. Glad you saw it. No, the only similarities between the two are the CPU's and the case, and as these two items are budget based, it doesn't surprise me to see them here. I was also wondering which is better this or the hp omen x? That is only the case so it doesn't have any parts in it....One with parts in it costs about 1K more. It will be play it at max settings 1080P at over 170FPS so pretty good. No idea about H1Z1 though but I would say it should max it out at 1080P at around 60FPS if not higher. wait so would it be better if im on a mac right now and know nothing to buy this one or a little bit more expensive one bc i have no idea how to add parts and stuff or should i just go with a prebuilt and do u have any ideas? Just build this. If you can follow basic directions and take a day or so to watch videos on how to build a PC you can build a PC. Yeah. Its not that difficult. Just be careful when building it. Watch a couple of YT videos on yt. then you'll be fine. You could take the GPU out of this machine and still probably get over 100FPS is CSGO. As for H1Z1, it'll run just fine. Hey, im really new to PC building, will any monitor work? Or ill have o buy a specific one? And does this come with WIndows? will any monitor work? Or ill have o buy a specific one? It will be a display connection that is compatible with the GPU i.e you couldn't use a monitor that only has a VGA connector but you could use one that has a HDMI, DVI, or DP. does this come with WIndows? No. You will need to download and install Windows yourself. Also if you want a key/to activate it you will need to buy a key for it too. How well will this run Counter strike Global offensive? It will be play it at max settings 1080P at over 170FPS so pretty good. What do you guys think of my beginner build? Just an entry gaming/all-round. Any tips or advice would be greatly appreciated. I understand SSD would improve booting speeds but any other benefits? 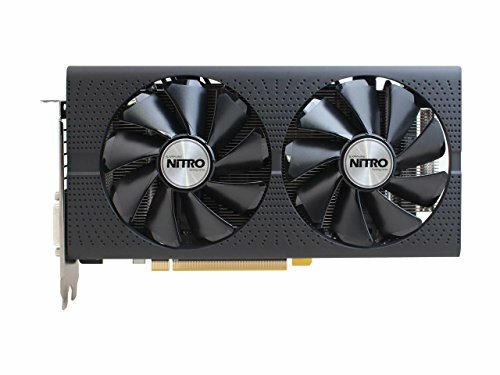 If I want ti change the gpu for a nitro+ 470 does it still work fine, no difference or am i better buying a 480? Pretty cool build but I would've swapped out the ssd for a better cpu if it's entry level gaming. Well...instead of swapping the SSD for a better CPU you could swap it out for an RX 480/580. Would this be a good build for football manager and h1z1 king of the kill to run well? New to pc building and I will be playing a good variety of games but those two are my most desirable games to play. I wouldn't. Not worth paying double the price almost for an extra 400 MHz. I have a 6100 in one of my PC's(which sits right in between the 2 performance wise), had I known this Pentium was coming out, I would have waited a few months and saved $50. The Pentium would bottleneck the gpu so you would not have a great experience. I'm just getting into pc builds, and I would like to know how many standoffs the motherboard needs. As many as the motherboard has holes for them is ideal. You could probably forgo one or two if your case/motherboard tray doesn't have the holes to place them, however. what about the OS? Do I need to get windows 10 or just use linux? do i need to buy windows 10 for this build? This will run basically all games at a good frame rate. The majority at high(and some ultra) settings at 60 FPS. Hello, Completely new to PC Builds and PC Gaming. Will this run VR and 4K gaming or am I asking too much? I'm looking to build something that will be on par or better than the new Xbox Scorpio Console for £600. Thank you. You are asking way too much. You would be looking for a way more expensive build. I am new to this as well but I have done my research. You would be looking at about 1000 dollars for 4K and VR. You could build one cheaper but it would give you a headache if it's frames are below 90. This is all from my research. What all can this build run? As in what games at high? Portal 2, L4D2, Ark, Dragon Ball Xenoverse, Tales of Berseria, Far Cry Primal, Overwatch, How to Survive, TWDG and Heroes of the Storm all run on High/Ultra 60fps. These are all of the games I've tested so far. I've heard it can also run R6, and I believe BF4 (nobody benchmarks BF1 for whatever reason) CS GO can run at over 170 fps at highest settings (obviously). I'm totally new at this and have no idea what I'm doing. Do I need a Wireless Network Adaptor? Or is this setup already able to connect to my Wi-Fi? You'll need to buy a wi-fi adapter in order to connect to wifi. You can also use an Ethernet cable if you don't want to fork up a couple extra bucks. They should both run fine, CSGO especially. That build from TechRadar is better than this one. You could probably build this PC cheaper than that one. If you're using an amd gpu, why not use an amd apu? Will i be able to play new games in this? RX 550? You know they made that GPU to compete with the Integrated Graphics of Intel HD! Why get a higher priced CPU when I have a GTX 1060 6GB that is better than almost all RX cards except RX580 in some games?? no, you have to download the OS on a bootable drive. Intel Pentium? Even entry level doesn't deserve that bad. The G4560 is surprisingly powerful. It's barely less than the i3 6100 and much cheaper. I'm completely new to PC gaming and the interior of PCs. Would this PC run the latest CODs well? If not, what parts could improve the games performance? I'm sure that It will run the latest CoDs with ease, it can run games like Overwatch at max graphics 60fps+ and that game has explosion and particles and all that. So yes It will run those games really well. Can this PC run games like rust, arma 3, rainbow six? Would I be able to play Rust on this? it's my only reason for wanting a pc really. 1) How much upgrade potential does this pc have? 2) Is there a good choice of monitor and keyboard for a reasonable price? 3) If I want to mod minecraft (A lot) would the processor let me? I am new to this and always wanted a decent computer to run a PS2 emulator and so on. I was going to build a computer from scratch but it would probably be best to just get the parts pre-picked. Will this computer run a PS2 or all kinds of Emulators smoothly? I'm not a huge gamer but I do like to play old systems like N64, PS1, PS2 etc. from time to time with no problems whatsoever. Also how would I go about making sure the computer is Dual Monitor friendly? Do I need something extra? Or just a Cable splitter and it should be fine? This build will run N64 and PS1 emulators without a problem. I don't have experience with PS2 emulators but I would think it should run fine, worst case scenario you might have reduced frame rates in the odd spot of a few of the more process heavy games. From what I've seen, console emulators are more CPU oriented, so you might benefit upgrading to an i3 7100. For dual monitors you won't need a splitter or anything. If you click on the GPU name it will take you to a page with more information and you can see there are 3 display ports, 1 HDMI, and 1 DVI-D.
i3-7100 is the same or tad more of the G4600 but $40 more than it! How well will this build run games like Titanfall 2, Rainbow Six Seige CS:GO and Overwatch? Hello. Quick question, if I upgraded this to an RX 480 would the pentium bottleneck it at all? Thanks! I was wondering about a CPU Cooler, would this be needed with this build? I have never built a PC before so I do not know. Is there any way I can see a benchmark of this build? How is this computer able to run Overwatch if an i3 processor is necessary for the game? This computer isn't able to run Overwatch if an i3 processor is necessary. Luckily, an i3 processor isn't necessary. Just wondering if anyone has built this build and if so what was the order in which they put it all together?. I'm looking to buy and build it fortnightly to spread the cost. I went for this build but swapped the 470 for a 1060 and got one 8 GB stick instead (it was cheaper than the kit). Will I be CPU-bound when gaming? Does dual-channel matter much in real life? I have a question: What monitor should I get to go with this? I'm new to the world of creating a PC, but I still understand technology and know what all of the parts above mean and what they do, I'm just unsure about what monitor I should get because I noticed it doesn't include a monitor? Also, will the case come with instructions on how to assemble the parts together inside the case? If not, could anyone provide a link or tell me how to assemble it? Guys, how do I find your list of cases. I like the build but am not a fan of the case. I am going to be using this PC to stream on Twitch playing an assortment of games like League of Legends, ARK: Survival, and assorted standard games like Call of Duty. Will the processor be able to handle it? I currently have 30 MBPS Upload so I know I do not have a problem in that category. Also, whats the point of this? At-least put a 1060 6GB with a Pentium G4600 (my build was cheaper than this) I play a multitude of games on Epic or Max including ARK with above 60FPS frame-rate! To add-on, I don't think people are planning to get a cheapo SSD or any for that matter, when they want to go for a budget build! I would recommend a MSI GPU because I OC my GTX 1060 6GB to 2.05Ghz, and their cooling and fan noise is recommended in a smaller case build! 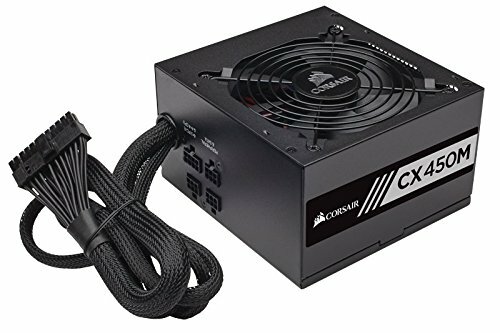 EVGA 600W 80+ is $39 Rather than this Corsair one! 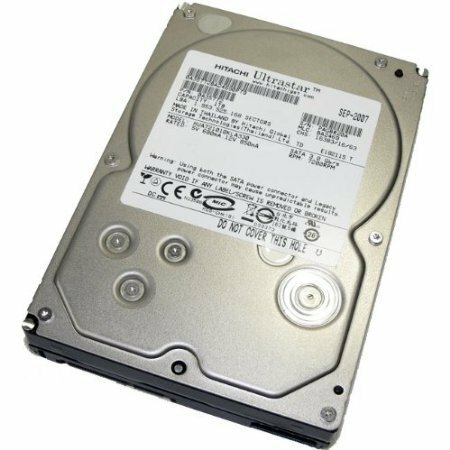 Probs to also switch out the Hitachi Kung Fu Panda HDD, with a Western Digital 1TB as they are not as failure as the Panda sequels were! For the Case, the NZXT 340S is a better case for Cable management and a color to suit your personality! To be honest when they said, "'check out the Radeon RX 480 and GeForce GTX 1060 3GB"', BS! The RX480 closely compares to the 6GB variate of the 1060! 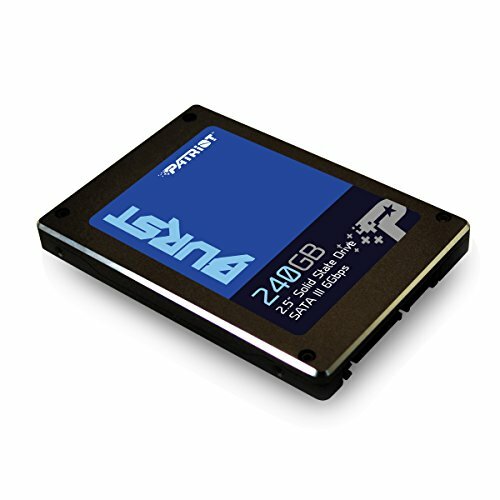 People are planning to get a smaller SSD like the one in the list. Other people aren't. That's why we say that storage needs differ. The point is to game on a budget with a system that's enjoyable. You having a build with a more powerful GPU or CPU doesn't make any build with a cheaper and less powerful GPU or CPU pointless. I'm trying to get into PC gaming and I am looking for a moderate gaming computer. Will this run ARK: survival evolved and Space Engineers? It can run ARK: survival evolved, but idk about Space Engineers. You might need to upgrade to i5 7500 to run the game. does the SSD have to be in it? You don't need the ssd, but the ssd is much faster than the 1Tb hard drive. If you do keep the ssd, I suggest installing the OS onto it and other programs that you want to run fast on. Is there any other CPU that would fair better than the pentium, that's only marginally more expensive? Like an i3 or something? Sort of new to building PC's. I think this build would be ideal for someone who mainly plays on console but wants to try PC exclusives or toy around with mods. All of these parts have a solid reason for being there. I can't think of any part I'd change. That said, I've added some peripherals that make sense for this price range. Note: That monitor is very competitive. It has 75hz refresh rate and freesync for like 120$. Also, that corsair keyboard is not mechanical but still seems super nice. It looks like the much more expensive versions and has back-lighting and media keys. Also, that mouse is super cheap compared to the $60+ type gaming mice. Headphones look comfy and are cheap as well. All of the peripherals are cheap comparatively and are still nice. Because I live in Norway, the market I have available is limited. HOW is this build? Can this run Dark Souls 3 and Battlefield 1? Hello, I am new to pc gaming and am hoping to build a good budget pc. I know the parts I want to use, but I wanted someone's opinion who is adept at this sort of thing. Here is my part list: https://pcpartpicker.com/user/Sylotus/saved/NG3TWZ Thanks in advance! Instead of a Pentium, get a Celeron. Celerons are cheaper and they also run a lot faster than the Pentium. Wat. They are cheaper becasue they are worse. They lack hyperthreading which means they are a lot weaker. Yeah... after I said that comment I realised that. Pentiums would work way better when it comes to gaming especially. may be not. coz beyond an rx 470 the CPU starts to bottleneck the GPU.... it would be wise to stick to the rx 470 4gb version, but if u plan on upgrading down the line then you can get the rx 480.
to be honest, if you want a minimal speed boost from booting up your computer and running apps, you don't need the SSD. Therefore, you can use that money to get an i5 off eBay, or amazon when there's a good deal. Once I saw an i5-6600k for $150. Plus, from my experience, the 470 is probably the perfect 1080p/Ultra card.